1. 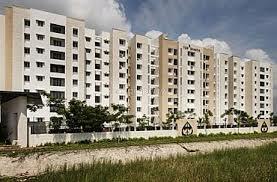 Vijay Shanthi Builders Ltd is a 10 rupee face value Realty company. 2. Year high of Vijay Shanthi Builders Ltd was 13.00 and year low was 7.53, currently stock traded at 10.19. 3. Promoters of Vijay Shanthi Builders Ltd hold 49.82 %FII hold Nil % and DII hold 0.01%. Promoters not pledged any stock that's good . 4.From 2009 to 2013 Vijay Shanthi Builders Ltd pay regular dividends of 0.40 to 0.80 rupee but currently this stock not pay dividends. 5. Base price of Vijay Shanthi Builders Ltd is 13.40 So Current market price is 34% below then base price. Vijay Shanthi builders IPO come in 1993 and after that in 2007 this stock touch his all time high 219.90 So now after 8 year of under-performance I think this is the time of real estate revival in market. 8. Book value of Vijay Shanthi Builders Ltd is 46.28 CMP is near 1/4 of book value so in book value concept this stock is a value buy. Book value is increasing year by year that is another good point . 9. Overall Vijay Shanthi is a good stock and full-fill all of my screening criteria s except dividend. Stock is traded below book value and recently give a positive breakout so I think this is the best time to buy it for long term. 10. 200 DMA of Vijay Shanthi Builders Ltd is 9.36 So at CMP 10.19 Vijay Shanthi Builders Ltd give a positive breakout above 200 DMA . Vijay Shanthi builders ltd also give a fresh breakout above his 30 DMA, 50 DMA,150 DMA and 200 DMA so this stock is now technically strong. 13.Discloser:- I Mahesh Chander Kaushik author of this research report is an existing research analyst and passed NISM certification for research analysts. I am also registered under SEBI(RESEARCH ANALYSTS) REGULATIONS, 2014 ( SEBI Registration Number INH 100000908 ) hereby disclose about my financial interest in the subject company and the nature of such financial interest:- 1 Me and my associates or relatives have not hold any share of Vijay Shanthi Builders Ltd so my personal interest is not included in this stock. 2. Me and my associates or relatives have not any actual/beneficial ownership of one percent or more securities of the subject company ( Vijay Shanthi Builders Ltd). 3. Me and my associates or relatives have not any other material conflict of interest at the time of publication of the research report. 4. Me and my associates or relatives have not received any type of compensation from the subject company(Vijay Shanthi Builders Ltd) in the past twelve months. 5. I am not served as an officer, director or employee of the subject company ( Vijay Shanthi Builders Ltd). 6. I have been not engaged in market making activity for the subject company (Vijay Shanthi Builders Ltd). 20% uc... nahi le paaya sirji..
Do u still recomment it at 20% higher prise sir? 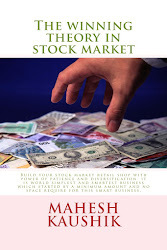 Mahesh ji, at what price we can enter this stock given that it has already increased by 20 percent. I recommended it at 10.19 but till 14.00 anyone can enter in this stock. Can you suggest for Vedanta at current level at rs. 92 per share. Good time to enter Vijay Shanthi builders? Hi sir I have 200 qty of Icici @260 rs. Plz share ur idea . hold or sell or avg ? Hello Mahesh ji, how are you?. I just started learning about shares. I am so happy that you are helping lot of people. Thanks a lot. I got the book you suggested and few shares that are suggested by you. Also planning to buy Antarctica(anygraphic) . could you please suggest weather to buy or not. Antarctica Ltd is traded only NSE and due to low book value 0.80 and low net sale per share I think Antarctica Ltd is not a best buy on fundamentals.